Have you ever been to a situation that there will be an upcoming important event in your life, like a best friend’s wedding? Or an engagement you have planned? And in that event you wanted to look good and wear the most perfect outfit? Yet, you have gained extra pounds and those double chin shows up and you noticed that flab on your belly. Or have you experienced looking into the mirror and checked you have gained weight? That is not a problem! Here I have sighted ways to lose weight in a matter of days, that when you step in to a weighing scale your heart will rejoice day-by-day. I have listed several extreme diets. It is called extreme diets for it is only applied for a short while and has its results in a matter of time. Meal replacement. This is a type of diet which meals are replaced with liquids or drinks. An example of which is slimfast and other drinks. Meals are sometimes replaced with shakes or bars as daily meal that are taken in during regular meals, and are supposed to be filled with nutritious goodness, minus the loads of calories and fats. Fruit and vegetable diets. Also called the Vegan diet, it is about abstaining from animal products and excludes meat from your meal plan. Strictly eat the fruits and vegetables you like and without any meat in your meal if you want to drop weight in an instant. Eat a minimum of 2-3 servings of fruits and 4-5 servings of vegetables each day. For it to be more effective, stick to the minimum amount of number of servings per day. Fruits and Vegetables are not only beneficial for weight loss but also for acquiring good source of water, fiber, vitamins and minerals. The best fruits to include in your diet are apples, blueberries, boysenberries, blackberries, cantaloupe, cranberries, oranges, papaya, and strawberries. The best vegetables are the tomatoes, onions, lettuce, cabbage, celery, broccoli, carrots and mushrooms. Liquid diet. When regular meals and snacks are replaced with liquid drinks or anything else that doesn’t have solid foods, it’s under this extreme type of diet. Others call it the It also called drink weight loss diet or the liquids only diet. For its proponents, this diet is healthy as the drank liquids will clean and detoxify the body. Diet or weight loss pills. Considered by many as magic pills, they are common options for people who want quick weight loss. Many products are known to produce a good body contour in a little span of time of taking in these pills. Others say they lost many pounds in a matter of days. The mechanisms of action of these pills are to reduce appetite, slow down metabolism or absorption of calories. An example of this is Orlistat (Xenical) which is approved by the FDA. This drug is said to reduce intestinal absorption. But beware of the side effects of diet pills. Diet pills can give palpitations, high blood pressure, fast heart rate, closed angle glaucoma, drug addiction, insomnia and restlessness. There are advantages and disadvantages of using these extreme diets. The advantage is instant drop of weight. 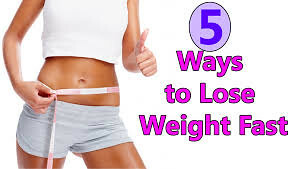 The disadvantage is that this diet is done only for a minimum span of time, by the time some people lost weight they gain weight in a matter of days and most of the time they add up more weight than the usual weight they used to have. Another disadvantage is that a person having this diet can have constipation because of lack of fiber, and also can acquire malnutrition and dehydration. It is always wise to consult your doctor for questions on which procedures or interventions may be good for you. Gather some information first before deciding on something. This entry was posted in weight loss and tagged meal replacement, weight loss on May 26, 2018 by .